Fresh off the success of the 2017 M2 irons, TaylorMade released M4. 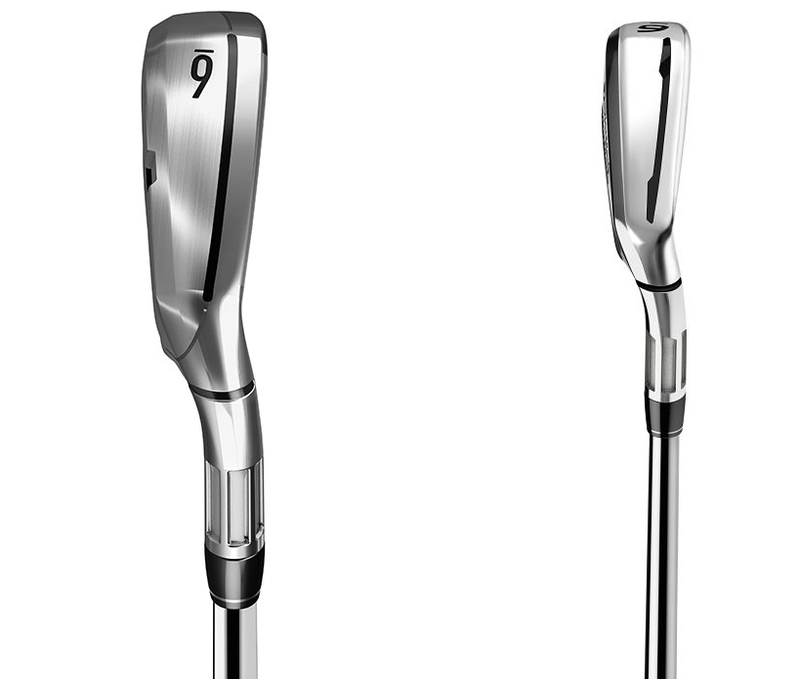 On paper, the two irons seem virtually identical, creating distance and forgiveness with a high, straight ball flight. A closer look at the 2017 M2 vs M4 irons reveals the improvements designers have come up with. I peel off the plastic on these irons and discuss the differences and similarities of these game improvement irons. The weight of the RIBCOR bars and their position on the head also raise the MOI (forgiveness) of the club. 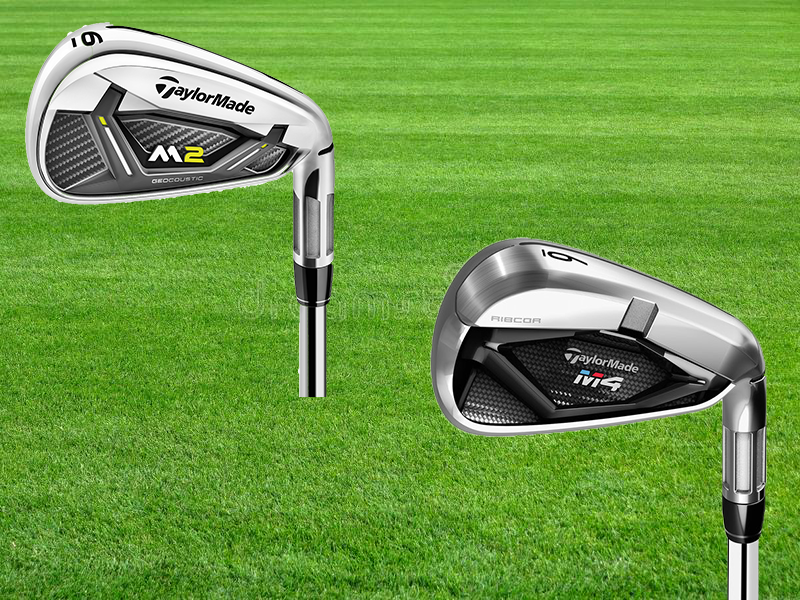 According to TaylorMade, the MOI of the M4 irons is 24% higher than the 2017 M2 irons. The RIBCOR bars sit behind the familiar face slots, found on several generations of game improvement irons from TaylorMade. The face slots are the same in both 2017 M2 and M4 irons, producing higher ball speeds on shots hit towards the heel or toe. You get more distance and forgiveness out of a mishit as a result. As has been the case with TaylorMade irons for a while now, the M4 irons have a Speed Pocket on the sole. 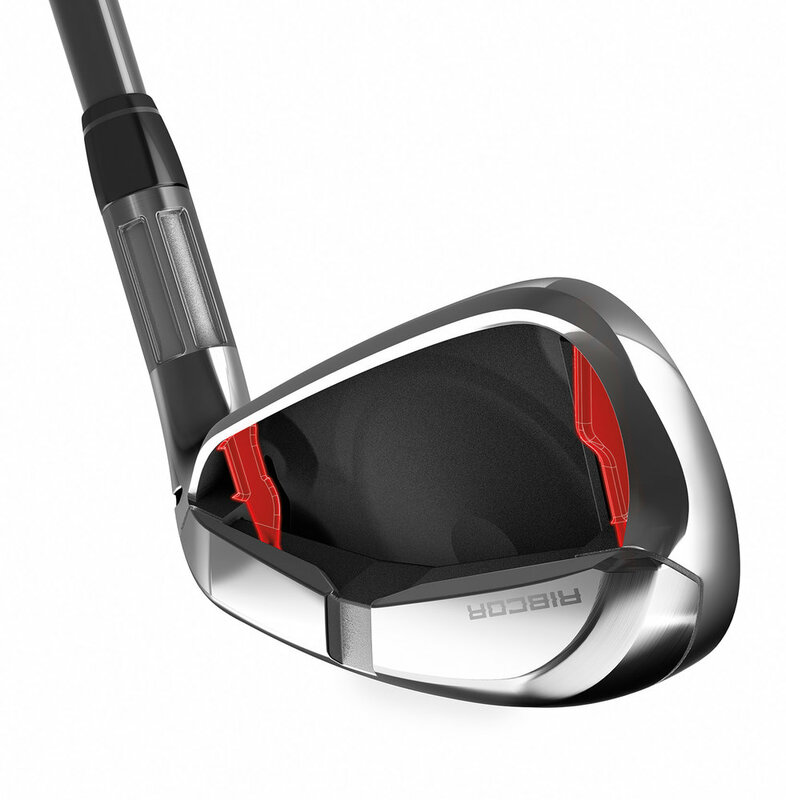 The Speed Pocket improves ball speed, especially on shots hit low on the clubface. On the M4 irons, the speed pocket is redesigned into a slimmer, longer, curved line as opposed to the dumbbell shape of the M2. This allows the pocket to preserve ball speed better and frankly, just looks a bit cleaner to me. Notice the different shapes of the fluted hosel in each iron. The fluted hosel in the 2017 M2 irons was wide and thin, shaving 2 grams of weight off the previous version. I know that doesn’t sound significant but it definitely helped with the forgiveness and launch angle. The new Fluted Hosel 2.0 in the M4 irons shaves even more weight, repositioning it low, to help compensate for the added weight of RIBCOR. Shots with the M4 irons rocket skyward and fly forever thanks to the lower CG position. Stock shaft options in the M4 irons also changed. TaylorMade departed from the Reax shafts in the 2017 M2, upgrading to premium KBS and Fujikura shafts. The steel KBS Max 85 has similar characteristics (weight/launch) to the Reax 88HL in the 2017 M2. Fujikura’s Atmos Red graphite shaft in the M4 is slightly heavier than the stock graphite shaft in the 2017 M2, giving you more control and straighter shots. As you ponder 2017 M2 vs M4 irons, know that both give you tremendous distance and forgiveness with high ball flight. The M4 irons, with the addition of RIBCOR, help straighten out your shots more so than the 2017 M2 irons. Get your set of 2017 M2 irons HERE or M4 irons HERE. Have more questions or was something not clear? 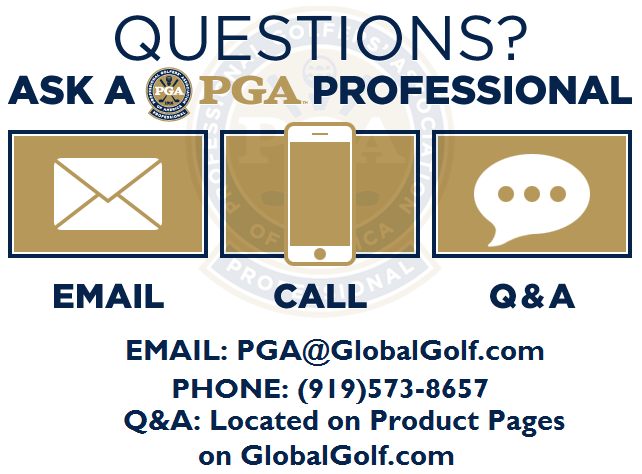 Give one of our PGA Professionals a shout via email. We are here to help you play your best golf!